All images by Laurens Morel / Saltycolours.com . Full gallery at Nacra 15 Class Assoc fb. 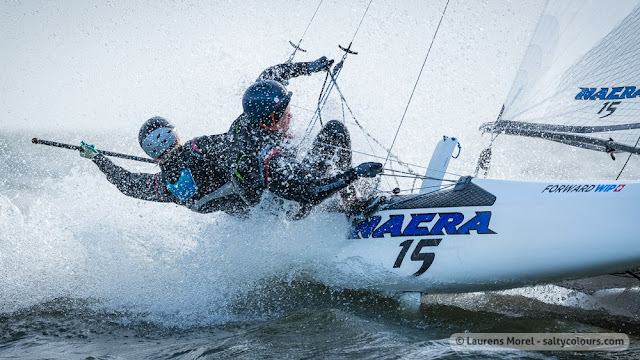 Great action shots by Laurens, the kids are having a blast without a doubt. Still ,ight not be the case for all, check photo #3 from above , perfect moment captured by Laurens, the helm grabbing his crew to protect her, like telling "I'm in control , everything gonna be alright" , truly a special shot. 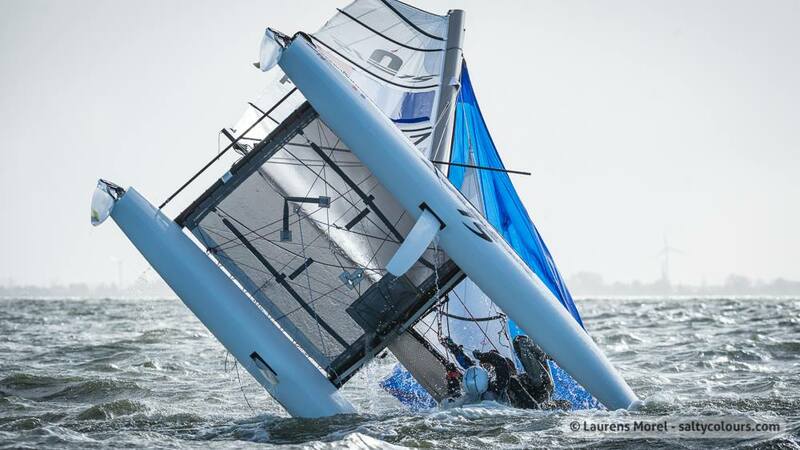 Click images for bigger size & slideshow. On the last day conditions and with the Nacra 15s having less margin than the F16 (on the feedback I have) the youth crews have to put all their skills and efforts to control the new Olympic Youth cat. 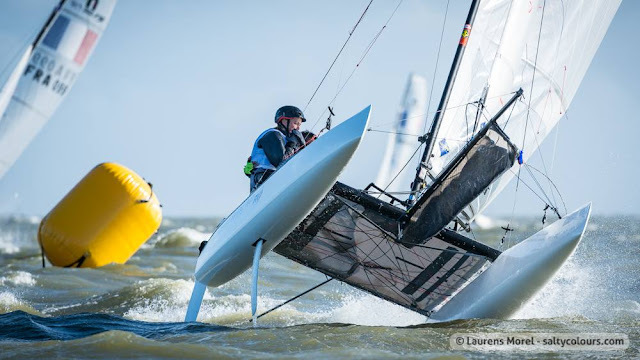 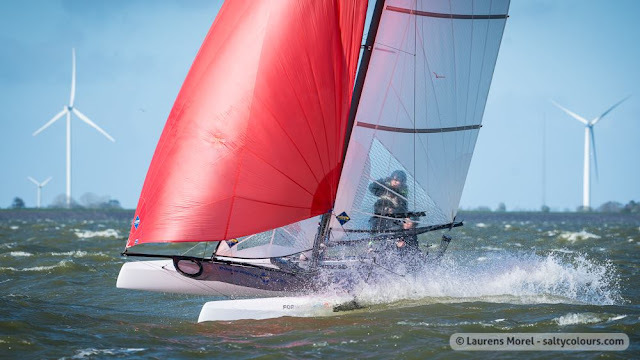 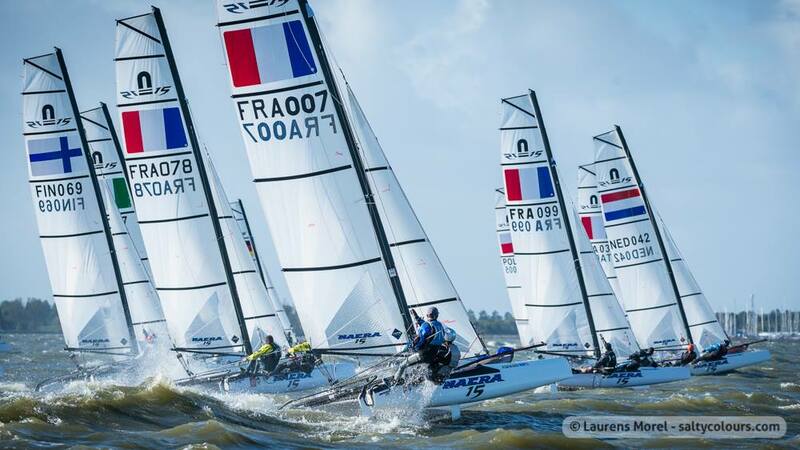 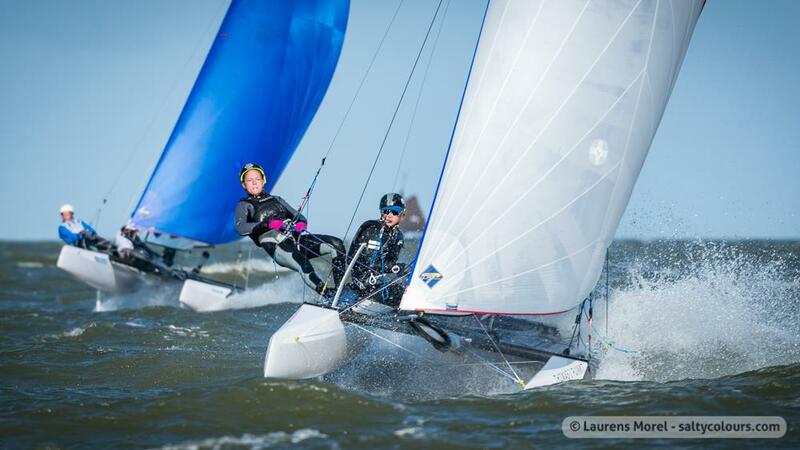 In Buenos Aires the kids can have any possible conditions as we experienced in the 2016 F18 Worlds , Medemblik is a great venue in that regard for them to acquire experience. 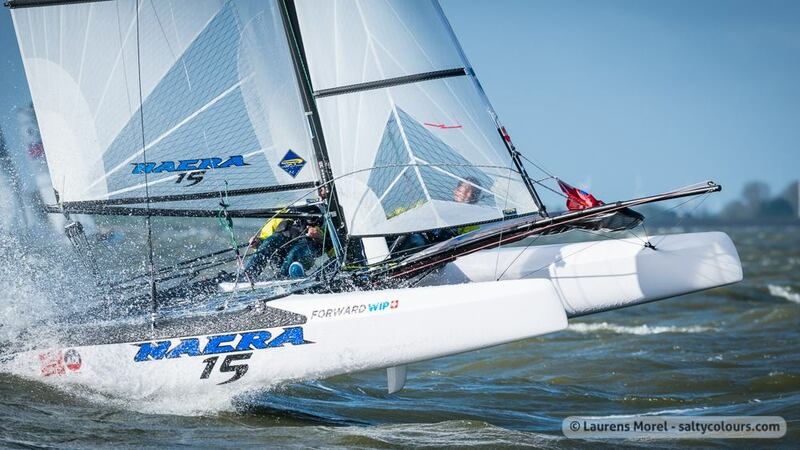 Racing only in places like Garda wont prepare you for BA.